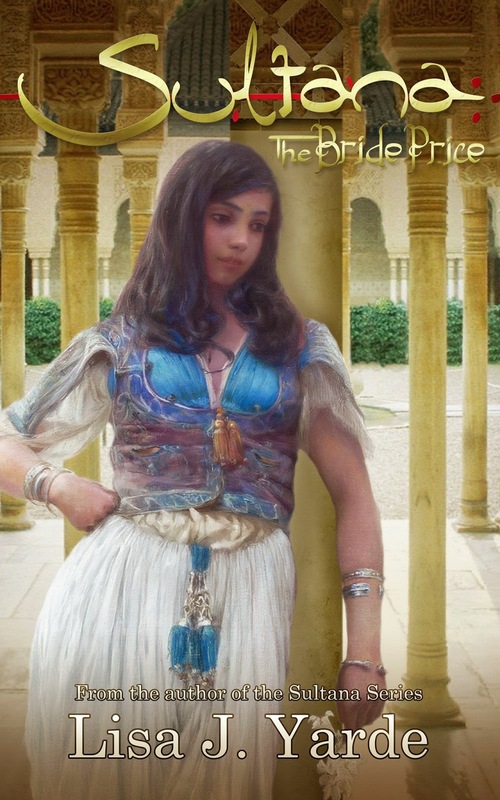 The consequences of Butayna and Maryam’s rivalry in Sultana: Two Sisters came to a particularly violent conclusion, affecting both women and their sons, as portrayed in Sultana: The Bride Price. The culmination of two decades of infighting between Butayna and Maryam affected the reign of Sultan Muhammad V, Butayna’s son, along with his relationship with his wife, the daughter of his paternal uncle Ismail, and the sibling rivalry he shared with Maryam’s eldest son Ismail. 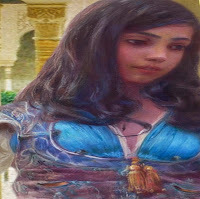 When Sultan Abu Abdallah Muhammad V, the eldest son of the then twenty-year-old Sultan Abdul Hajjaj Yusuf I and the Sultan’s concubine / wife Butayna, entered the world, his future was uncertain. Muslim inheritance law did not allow the eldest child to presume a lion’s share of the inheritance; Muhammad had two brothers Ismail and Qays of half-blood, who could have likely inherited the throne. From period sources, Muhammad’s father Yusuf I considered his younger son Ismail, born of the concubine Maryam, as a possible successor. If such a move was Yusuf’s intention, the plans never came to fruition due to Yusuf’s violent stabbing perpetrated by a crazed slave. The valued councilors, the Prime Minister Ridwan and the chief secretary of the Diwan al-Insha, Yusuf’s chancery, proclaimed the sixteen-year-old Muhammad V as Sultan on October 19, AD 1354 or 1 Shawwal 755 AH. Upon his investiture, the governors of Moorish Spain had to swear an oath of loyalty to him, which Ibn al-Khatib composed. The members of Muhammad’s family, including his brothers, would have sworn the oath first, followed by the council and other court dignitaries, along with the governors and other nobles. This requirement hints at some of the instability surrounding Muhammad V’s early rule. Ridwan held the reigns of power as head of the chancery and Ibn al-Khatib aided him. Other court ministers included Muhammad al-Shaquri, who had served as Yusuf’s personal doctor and continued to attend the new sovereign. 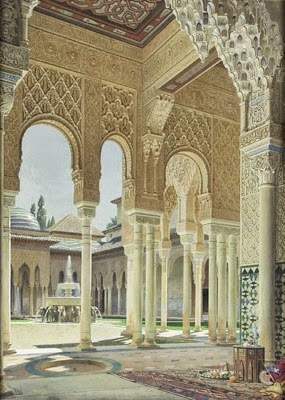 In one of his first acts, Muhammad provided a house within the precincts of the Alhambra for his stepmother Maryam and her children, including his younger brothers. The move might or might not have included Maryam’s eldest daughter, already chosen by this time as the wife of her cousin Muhammad the Red, a direct descendant of Yusuf’s venerated grandmother Fatima. Muhammad supposedly provided for the comfort of his relatives, including an arrangement for the release from captivity of his uncle Ismail, who had been imprisoned for several years by Yusuf I on a purported act of treason. 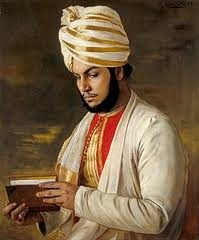 In his personal life, Muhammad sought stability by marrying the daughter of his uncle Ismail. She became the mother of Muhammad’s firstborn son Abdul Hajjaj Yusuf, named for his paternal grandfather. In his relations outside the kingdom, Muhammad enjoyed a friendship with King Pedro of Castile, who earned the sobriquet the Cruel for ill-treatment of his family of the half-blood. Perhaps these two men understood each other well because they both faced the consequences of interference from siblings with different mothers. Pedro admired Moorish and Jewish influences and permitted them at his court. He undertook the services of Abraham ben Zarzar, a Jewish doctor who was likely the son of Pharez ben Zarzar. In later years, Muhammad would provide architects whose skill helped in the construction of the Alcazar of Seville, Pedro’s glorious monument. Muhammad also sent Ibn al-Khatib at the head of an embassy to the Marinid Sultan Abu Inan seeking affirmation of peace between Granada and the Moroccans. Apparently, Abu Inan tried to provoke some discord between Muhammad and Pedro, but the efforts never amounted to much by the time of Abu Inan’s death in December AD 1358 corresponding to either Dhu’l-Qada 759 AH or Muharram 760 AH. Muhammad’s reign became jeopardized within a year. For an unspecified reason, he jailed his younger brothers Ismail and Qays, a move that drew severe retaliation from his enemies at court and within his own family. On August 21, AD 1359, corresponding to the night of 27 - 28 Ramadan 760 AH, one hundred conspirators financed by the wealth of Maryam, scaled the walls of the Alhambra. They freed Ismail and Qays before marching on the summer palace of the Generalife, where Muhammad was with his family as custom dictated during the season. Muhammad suffered many losses that night, including the deaths of Ridwan and his personal doctor Muhammad al-Shaquri. The conspirators imprisoned Ibn al-Khatib, who would later gain his freedom when his sister sent a ransom from their hometown at Loja. Muhammad attempted to reach the Alhambra but had to flee on horseback. Some sources note a slave girl was in his company, others mention his family. Muhammad arrived at Guadix, a bastion of the Moroccan Volunteers of the Faith, whose commander Yahya had been among those to betray Muhammad. The people of Guadix allowed the dethroned Sultan into the city and pledged fealty to him, but other regions of Moorish Spain would not, including Almeria, and the city of Malaga, governed by Muhammad the Red. The Marinid Sultan of Morocco Abu Salim offered Muhammad V asylum. 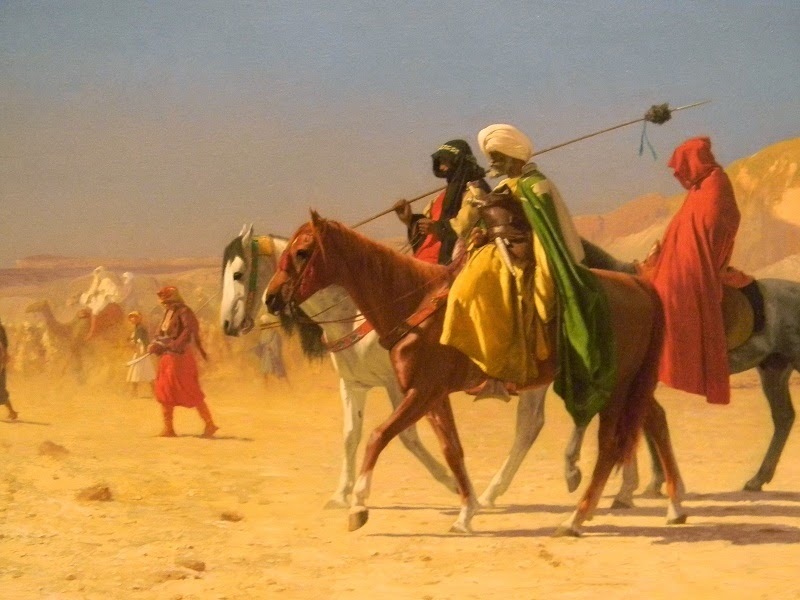 At the side of Ibn al-Khatib and with members of his family, Muhammad crossed over to Morocco. He reached Fez and a grand reception awaited him, along with Abu Salim seated on a throne at one end of the room, while its twin awaited Muhammad at the opposite end. Ibn al-Khatib recited poetry and thanked Abu Salim for his favor. There are many variations of when and how Muhammad’s family accompanied him; one set of sources indicated they were with him since his flight from the Alhambra, others posited the family members could not join him until several months later. Despite these varying accounts, it’s clear young Yusuf was with his father in Morocco for some time. 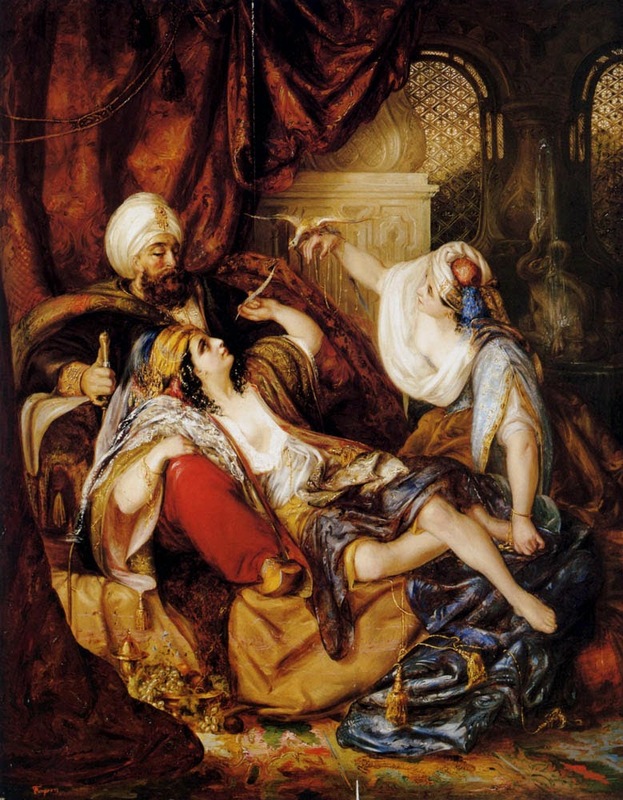 Less clear is whether Muhammad’s mother Butayna or Muhammad’s wife were present at different intervals; one of my sources contradicts himself by referring to young Yusuf’s mother as having traveled with him to Morocco at the time of Muhammad’s flight, while the same source provides concrete information about her presence at the Alhambra during the same time. Given the wife's likely whereabouts, I have gone with the theory that Muhammad’s mother, not his wife was present for the early crossing into Morocco, but specifics about Butayna during that period or thereafter remain unknown. Muhammad’s personal guard, all Christian soldiers, migrated with him to Morocco. The fallacy created by revisionists who have thought of the centuries-long conflict between the Moors and Christians of Spain as a religious war is clearly shown as propaganda by the remarkable relationship and loyalty fostered between the Muslim Sultan and his guard of two hundred Christian men. Muhammad enlisted the aid of Ibn al-Khatib and an Andalusian judge, Al-Sabti, in writing letters to Pedro of Castile, begging for aid in regaining the throne of Granada. Perhaps by his involvement in conflicts with Aragon and through the distraction of his warmongering half-brother Enrique Count of Trastamara, Pedro did not help Muhammad initially, even when letters began arriving at the Castilian court from the esteemed Tunisian scholar and judge, Ibn Khaldun, whom Muhammad had met in his exile. Events in Granada soon allowed Muhammad to return to his beloved homeland. On the morning of August 20, AD 1361 or 17 Shawwal 720 AH, Muhammad parted with his family whom he had commended to Ibn al-Khatib’s care. The Sultan rode to the outskirts of the city in the company of his counterpart Abu Salim, along with Muhammad’s Christian guards and Marinid troops. Afterward, Muhammad went north to Ceuta, arrived in Gibraltar, and traveled to meet Pedro of Castile, who provided a thousand gold coins for Muhammad’s initial expenses. Muhammad received the subjugation of Ronda, then under the control of the betrayer Yahya’s son Uthman. Malaga surrendered at some point in AD 1361 and other provinces soon fell to Muhammad. He seems to have promised Pedro the sovereignty over any city of Moorish Spain, which would accept the rule of Castile, in recompense for Pedro’s aid. There were some disappointments along the way. On January 15, AD 1362 or 18 Rabi al-Awwal 763 AH, the Battle of Guadix occurred between the knights and infantry of Pedro of Castile and Granadine troops, a conflict Pedro lost. A month later Muhammad seemed firmly resolved to take Granada, a feat he accomplished on March 16, AD 1362 or 20 Jumada al-Ula 763 AH. Thereafter, he set about a massive rebuilding of the Alhambra, tearing down the harem and towers of his father Yusuf I and grandfather Ismail I to replace these features with the Alhambra we see today. The Court of Lions with its miraculous fountain was the centerpiece of his work; water spouted from the mouths of the lions at specific intervals to mark the hours of the day. The lions were purportedly a gift of the Jews of Granada who began to enter the kingdom, fleeing from persecution in Castile, which would only grow under the eventual usurper and successor of Pedro of Castile, his half-brother Enrique. Muhammad welcomed the Jews but required them to wear the yellow badge on their clothing, bowing to the dictates of his chief judge and Al-Sabti’s successor Al-Nubahi. To celebrate his return, Muhammad also hosted a large feast timed to celebrate the birth of the Prophet Muhammad on the night of December 30, AD 1362 or 12 Rabi al-Awwal 764 AH, a period also marked by the arrival of Ibn Khaldun in Granada. Muhammad would soon send Ibn Khaldun on a mission to Pedro of Castile’s court. In July AD 1367, Muhammad also completed Granada’s maristan, a hospital primarily for the mentally disabled. The structure stood beside the banks of the Darro River, north of the Alhambra with its centerpiece as a large pool, flanked by two lions and surrounded by the four wings of the hospital. Those two lions are on display in the Alhambra museum today, but the maristan no longer stands. Ibn al-Khatib described Muhammad in the following way; ‘… a plain man. 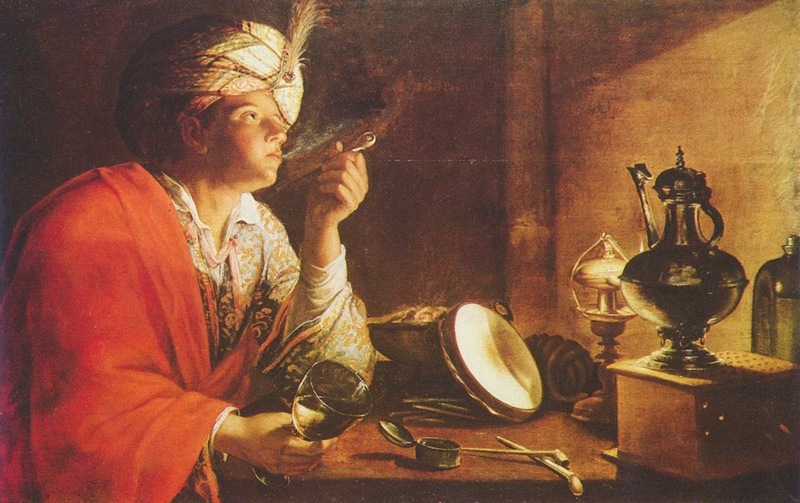 He rode without ceremony through the streets of Granada and wore elegant but not luxurious clothes. His virtues were appreciated by his subjects, who felt trust and affection for him, and he was respected by the nobility. He kept himself well-informed on the performance of his provincial governors and the needs and preoccupations of the inhabitants, by sending out experienced and reliable men to report back to him on any anomalies. Muhammad V sometimes led his troops when attacking enemy positions.’ This would prove especially true when Muhammad took the side of Pedro in the warfare against Aragon, in attacks against Jaén in 1367, the ancestral homeland of the Nasrids. Muhammad also relied upon the son of his murdered minister Ridwan, called Faraj, who led a brutal attack on Tereul. Muhammad also recaptured Algeciras on July 1, AD 1369, or 23 Dhu’l-Hijja 770 AH and later destroyed its bastions rather than allow the castle to be continually used as a base for the Moroccans or kings of Castile in their raids upon his coastal cities. Ibn al-Khatib suffered under Muhammad’s later rule. Ibn al-Khatib had always been a jealous man, protective of his relationship with the Nasrid sovereigns; even in his friendship with Ibn Khaldun, Ibn al-Khatib resented Muhammad’s admiration of the Tunisian, which led to Ibn Khaldun’s withdrawal from Moorish Spain and Muhammad’s service within the year after his arrival. Ibn al-Khatib inspired his own enemies; Al-Sabti, Al-Nubahi, and the court minister Ibn Zamrak, who likely coveted Ibn al-Khatib’s position as Prime Minister. Calling him a Sufi heretic, his enemies hounded him out of Granada in AD 1371 or 773 AH. Ibn al-Khatib would die in a Moroccan jail, assassinated by agents from Granada, likely with the knowledge of Muhammad. After Ibn al-Khatib’s murder, Granada's relations with Morocco soured and while the Volunteers of the Faith remained within Granada, nominal control of these Marinid troops fell to Muhammad, then his eldest son Yusuf, followed by Yusuf’s brother Sa’d. Muhammad had four known sons and one daughter who remains unnamed; Abdul Hajjaj Yusuf, his father's eventual successor, Sa’d, Nasr, and Muhammad, along with their sister who bore the official title Umm al-Fath, which would be used to refer to many of Muhammad’s female descendants. It means 'Mother of Victory'. At the age of fifty-two, Muhammad V died on January 16, AD 1391 or 10 Safar 793 AH. His eldest son came to the throne as Yusuf II, but turmoil swiftly followed and undid the glory of Muhammad’s reign. Yusuf II ordered the deaths of some of his father’s ministers including Ibn Zamrak, as well as the murders of his younger brothers Sa’d and Nasr. Yusuf died within two years of his ascension, supposedly poisoned by a robe sent to him from the Marinid ruler of Morocco. His eldest son Yusuf III should have succeeded him, but a younger son Muhammad VII usurped Yusuf III’s rule for many years. Yusuf III did eventually gain the throne and hold it for his young son Muhammad VIII, but by then a grandson of Muhammad V, the child of his third son Nasr, rose to power as Muhammad IX. The fractured history of Granada from this period onward was the tale of a kingdom in decline, never to know the glory it had last enjoyed under the reign of Muhammad V.
Muhammad’s personal interactions with courtiers including Ibn al-Khatib are unknown, but I presumed in the narrative that tension between the men had existed for years. I may have been incorrect about the death of the doctor Muhammad al-Shaquri in the coup of AD 1359. Another source contradicts this information, stating that because of some unspecified political trouble during the second reign of Muhammad V, the doctor withdrew to Tlemcen in Algeria, then under the control of the Xayyanid Berber dynasty. Muhammad al-Shaquri lived there until AD 1369. The reasons why Muhammad married his young cousin and freed her father Prince Ismail are uncertain, as is the basis for Muhammad’s imprisonment of his brothers Ismail and Qays shortly before the coup of AD 1359. No other named mother of Muhammad’s five children is recorded; indeed, no named mother of his children exists in the sources except for his wife, who was never identified. I also don't know the fate of Muhammad's younger full-blood sister, Aisha. While it's likely any marriage involving her would have been an alliance for political gain, I have no proof it occurred. The pawn of his mother Maryam and Muhammad the Red who was the real power behind the throne, Ismail II ruled for less than a full twelve months from the time of the coup on August 21, AD 1359 or 27 - 28 Ramadan 760 AH until July 12, AD 1360 or 26 Sha`ban 761 AH. One of the sources notes the coup that removed Ismail II occurred at least two weeks earlier on June 24, AD 1360 or 8 Sha`ban 761 AH, but I went with the later July date in the narrative. The second Granadine coup in less than twelve months led to the deaths of Ismail II, his brother Qays, and his mother Maryam, at the hands of Muhammad the Red, who claimed the throne as Muhammad VI. I don’t know the personal relationship between Ismail II and Muhammad V; the antagonism I've extrapolated is based on reference to Yusuf I’s favoritism of Ismail II. History doesn't record Ismail’s personal feelings and choice to marry his former sister-in-law. Muhammad VI helped remove his cousin Muhammad V from power and then almost a full year later, usurped the throne from his puppet and cousin / brother-in-law Ismail II, whose death he ordered along with the rest of Ismail’s family. Immediately after claiming the throne, Muhammad VI allied himself with the kingdom of Aragon in its conflict with Castile. Then later, Muhammad VI saw some advantage in supporting Castile, if only to keep Muhammad V’s ambitions to return to power at bay. While Pedro of Castile negotiated with Abu Salim to allow the return of Muhammad V, Muhammad VI sent envoys to Fez requesting that the Moroccans keep their guest there. In AD 1362, after the return of Muhammad V, Muhammad VI turned to Castile. Three days before the arrival of Muhammad V in Granada on March 16, AD 1362 or 20 Jumada al-Ula 763 AH, Muhammad VI fled to the court of Pedro of Castile. The Christian king allowed Muhammad VI entry into the city with his entourage, without the promise of safe conduct. Then five and a half weeks later on April 25, AD 1362 or 2 Rajab 763 AH at a banquet, Pedro had Muhammad VI and his men seized. Pedro had Muhammad VI’s body pierced with a lance and the heads of he and his men removed. Muhammad V displayed the grisly trophies atop the walls of the Alhambra. Whether Muhammad VI was directly responsible for the death of Maryam or killed his own wife, Maryam's daughter, is pure speculation. History does not record the name of the wife of Muhammad V; only her descent from Prince Ismail, a brother of Sultan Yusuf I. No brothers or sisters are recorded for her. The relationship between her uncle and father fractured when Yusuf imprisoned Ismail for some unknown act of treason. Later, when Muhammad V ascended the throne, he released his uncle and married his cousin. What must this marriage have been like? That was the premise for Sultana: The Bride Price; what would this couple have endured in such a marriage when both had no reason to trust each other based on the history of their fathers? Even if there was no trust in the relationship between Muhammad and his wife, there was duty. She bore him his first son and eventual successor, Abdul Hajjaj Yusuf. When the coup occurred in AD 1359, for some reason, the wife of Muhammad V stayed behind in Granada with her father. For a significant period, she remained separated from her first spouse, only to marry his brother, the usurper Ismail. Ibn Al-Khatib provides the primary account of the period; was there a reason why Muhammad V’s chronicler chose not to reveal the name of his master’s wife? Ibn al-Khatib would have known it. There is a curious account in another recent source, which indicates that perhaps there was a clandestine love affair between Ismail II and his chosen bride. If this was a fact, it would also have been a great source of shame for Muhammad V. Is that why his wife’s name remains hidden? Even stranger than the second marriage of this queen were the events that followed. Ismail II lost his throne to Muhammad the Red, his cousin and brother-in-law. Somehow, the queen and her father managed to flee to Morocco, where they reunited with Muhammad V. I can only imagine the tension that reunion must have produced. No further details are recorded of the aftermath, except one; Muhammad’s father-in-law and uncle Prince Ismail became loyal once he and his daughter reached Morocco. The account of Muhammad’s life notes that he had five children; one major source indicates that these are all the children of Muhammad V and his queen. If so, the only child they had before the coup of AD 1359 was Abdul Hajjaj Yusuf; does this mean duty allowed Muhammad V and his queen to put aside their past upon their reunion in Morocco and have more children, the sons Sa’d, Nasr, and Muhammad as well as a daughter? Obviously, there is the difference of the name; I do not know the name of this queen so I called her Jazirah, which means 'the island' - rather appropriate for a character who spends much of the novel making her own way through life. I don’t know whether Ismail’s daughter accompanied her father into exile and if that exile occurred at Salobrena. I also have no knowledge of when her first marriage occurred, but guessed at it reasonably, based on the age of Muhammad’s heir, around two at the time when his father went into exile in Morocco. The union occurred sometime between Muhammad’s ascension in AD 1354 and at least nine months before Yusuf’s likely birth in AD 1357, making it a two-year span of AD 1354 to AD 1356 for Muhammad’s marriage to his cousin. Any illicit love affair leading to a marriage behind Ismail II and his sister-in-law is speculation; I have seen no proof of how one of my sources arrived at that conclusion. I also don’t know whether Muhammad’s queen became the mother of his children after Abdul Hajjaj Yusuf, or if some other unnamed or unknown wife or concubine mothered the younger offspring. Also, the fate of the father of Muhammad’s queen, Prince Ismail, remains unknown.